A renowned chef and cardiologist walk into a kitchen and step in front of a camera. No, it’s not the beginning of a dad joke, it’s the start of a delicious and hearty dish of Indian-Style Lentils with Carrots and Kale. What was supposed to be a Facebook Live – but turned into a video cooking demonstration due to Facebook’s unexpected downtime – featured Merherwan Irani, executive chef at Asheville’s Chai Pani and Brian Asbill, MD, of Asheville Cardiology Associates and Mission Heart. “We wanted to do a plant-based dish and I wanted to do a complete meal in a pot that would be easy for anyone to cook with just off-the-shelf ingredients,” said Chef Merherwan. 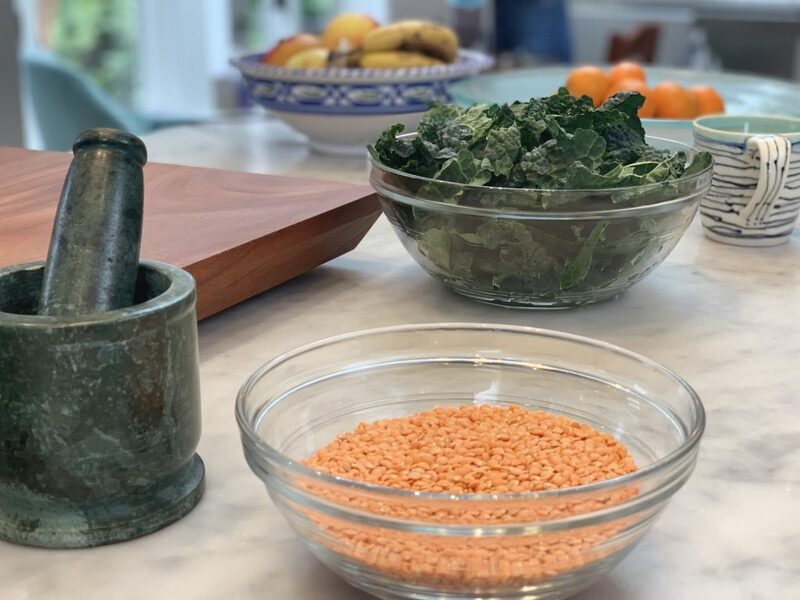 The Indian-Style Lentil dish featured healthy and familiar ingredients that you may already find in your pantry or can be purchased at a local grocery store. Here’s a brief summary of what we learned! How are the ingredients heart healthy? Differentiated from a vegan diet, which emphasizes not consuming animal products, a plant-based diet includes whole, minimally processed dishes from plants, which include vegetables, fruits, whole grains, nuts and seeds. The diet also avoids many animal products. How can a plant-based diet contribute to good health? Will plant-based eating help you lose weight? “Yes it will,” says Dr. Asbill. “I tend to think about food as nutrients and calories.” For instance a soft drink and donut, which may be a vegan option, are very calorie rich but nutrient poor and a whole-food, plant-based dish the lentils are nutrient rich but have fewer calories, allowing you to eat until you’re comfortably full. 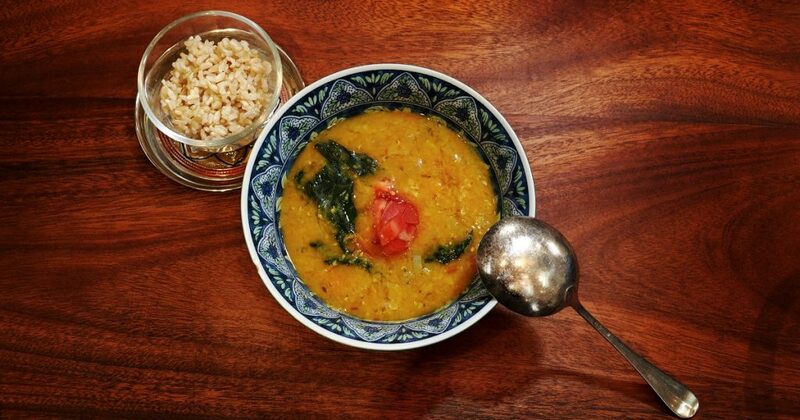 So here’s your chance to try this at home: Indian-Style Lentils with Carrots and Kale. Irani is an Asheville-based Executive Chef & Chief Chaiwalla. In 2009, Irani quit his day job in sales to open his first Asheville restaurant– Chai Pani, an authentic Indian street food joint. With four James Beard Award nominations for Best Chef in the Southeast under his belt, he’s finally confident this might be working out. His restaurants have been written up in the New York Times, Wall Street Journal, GQ, Food & Wine, Men’s Health, USA Today, and Bon Appetit, among others. A noninvasive cardiologist with Asheville Cardiology Associates and Mission Heart, Dr. Asbill believes the foundation of good health is based on good habits. These habits include eating the right foods, moving more and managing stress. He received his medical degree from the Medical University of South Carolina, where he also completed his cardiovascular fellowship. Dr. Asbill enjoys seeing patients take ownership in their health by incorporating various lifestyle changes. Learn more about Dr. Asbill .